Be sure to check out my guest post over on Carissa's blog and leave her some comment love! I'm taking today off of blogging. Just can't do it, and for a few reasons. I keep starting and stopping drafting a post for this week, and I'm feeling overwhelmed. The what-is-going-on-with-my-family post. My intentions for this blog are not to use it as a place to air my family's dirty laundry, but to touch on the events and relate them to my feelings - and, ultimately, my health and weight, as they're all so closely related to one another. It isn't the writing itself that I'm struggling with, but my own personal understanding of the circumstances. I can't synthesize them in my head, let alone express them in a way that might make sense to others. Also, I hung out with a couple of friends last night and drank a little wine. It was nice to sit in some air conditioning and forget about the intense heat for a while. And it was nice to hear a friend say "Seriously, dude, you are getting so f***ing skinny." There wasn't enough wine consumed between the three of us for it to have been the alcohol talking, so I just smiled and felt very good. Heat should be high 90s again today, so I'm going to re-attempt the other day's failed 7 mile run (on the treadmill this time), then head to the public library to do some work, catch up on letter writing, and draft some blogs without feeling all gross and covered in sweat. I also see a popsicle or some frozen yogurt at some point. It's just so unbelievably hot. What about you? How are you staying cool these days? (If it's hot where you are, of course. Southern hemisphere folks, I'm pretty jealous. How's the weather down there?) What do you cook for meals when it's too hot out to even think? What are some good blog posts you've read lately? Any topics you'd like to hear more about? I'm not enjoying the heat. Husband still has not put in the air conditioner on the 1st floor. I keep telling myself I will appreciate it when I see the electric bill. Cooking has come to a stand still. There is no oven use in the summer in my house. So anything that needs to be heated is done on the stove top, microwave, toaster oven or grill. Honestly, it's too hot to grill. A quick burger or piece of chicken is fine, but anything that takes longer you are roasting yourself. I hear ya Mary, it has been in the 80's and 90's all week and all I want to do is sit in the air conditioning. I usually take my walks and doing my outside exercising after the kids go to bed and when it has cooled down enough to do so. A nice sunny 70's day would be great about now. Have fun today. I miss the heat right now. It's once again drizzling and in the 50-60s here in Germany. This makes something like the 2nd week straight. It's really messing with my mojo to want to do anything. 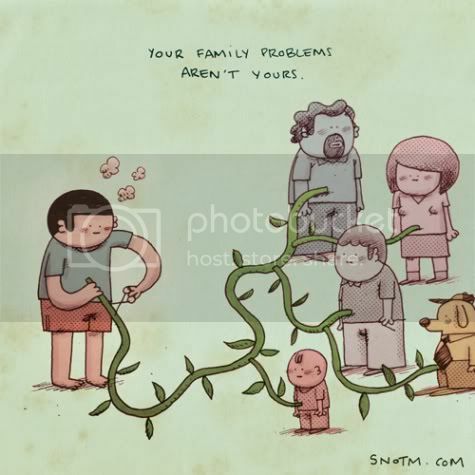 ((hugs)) for dealing with the family issues. It is 72 and sunny here today. Gee that feels indulgent getting to crow about that. About your family and your writing. You can always use your blog background to sort out what you want to share and to sort out your feelings. I have lots of posts where I sort it out, but do not publish. We do not have to know everything, but you may want to discuss. Writing in the background, rereading and editing and piecing it all together outside prying eyes may be just the ticket. Take your time to sort through the family stuff, even if it's a sentence at a time. That kinda stuff can be tough..
As for staying cool: I bounce from freezing in the A/C to sweltering outside. I prefer outside. I hate being cold. Beer has been a great way of staying cool, if not hydrated. Hmmm... Had to respond to this one as I'm feeling sorry for myself with the heat cranked in my hotel room. I live in Brisbane and, if I were there right now it would be getting up to a lovely, sunny high of 23-24 (Celsius, not sure what that is in Fahrenheit). But unfortunately I'm in Melbourne for a few days for work and it's freezing. The high will be about 13C with some rain. No thanks. Give me heat and humidity anyday. I do not like being cold. The only time I seem not to be cold is when I'm exercising and even then, I sweat like crazy, which in turn, makes me cold. Bring on summer! We had a bit of a heatwave here in the Bay Area a couple of weeks ago and it was so hot that you didn't want to move. I made this veggie and bean salad that's filling & really yummy. Perfect for summer. I'll be posting the recipe later this week. Just stumbled across your blog! wow, your accomplishments are amazing! seriously! very inspiring!!! Congrats!